I love games, but I think I love deep, thinky games that hurt my head even more. Don’t get me wrong: I love a short, funny game as much as the next guy, but give me a game that forces me to think long and hard and you’ve got me. It doesn’t have to be a long game, mind you, although I’m not averse to that either. But give me a game with some meat on its bones, a game where decisions matter and you can feel it when, a few turns later, you find yourself cursing over what seemed the right decision at the time and you’ve got me hooked. 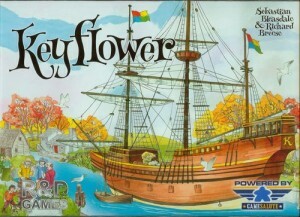 Keyflower (Game Salute) by Sebastian Bleasdale and Richard Breese is such a game. 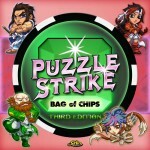 With a very simple ruleset, this game gets its hooks in you and lets you sweat out every little decision. What’s more, it’s one of those games where you’ll find yourself thinking a few days later “Should have done this, then that would have changed to this”. In other words, it makes my head hurt and I love it. 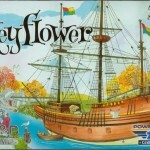 This entry was posted in Session Report and tagged keyflower on September 11, 2013 by TopDog.